April 20, 2019 - 2019 Shirts Now On Sale! Friday night found Chase Junghans in action at Davenport Speedway (Davenport, Iowa), where he was competing in a field of 26 Lucas Oil Midwest Late Model Racing Association (MLRA) entries. Chase started his night by setting fast time in qualifications and backed it up with heat race victory to earn the pole position for the opening night feature. Leading flag-to-flag in the 30 lapper, Chase Junghans cruised to his first win of the season topping Hudson O’Neal, Jordan Yaggy, Chad Simpson, and Chris Simpson. He earned a $5,000 payday for his first-career Lucas Oil MLRA triumph. 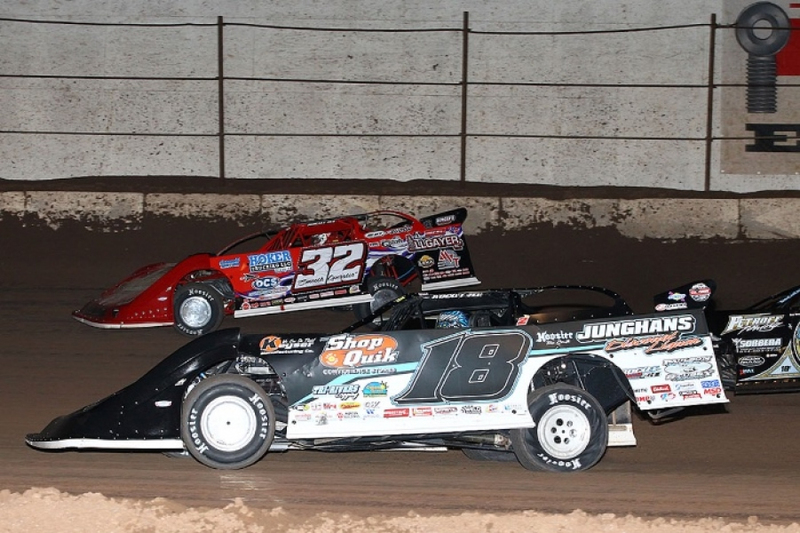 The following night at 34 Raceway (West Burlington, Iowa), the team entered the 11th annual Slocum 50. With 37 entries on hand for the memorial event, Junghans secured his spot into the $10,555-to-win finale with a sixth-place finish in his heat. Starting the finale in the 19th position, Chase passed ten cars in the 50-lapper to advance to a ninth-place finish. For more results from these events, please visit www.MLRARacing.com. 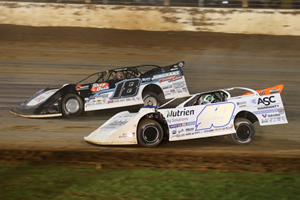 The World of Outlaws Morton Buildings Late Model Series picked back up on Friday night at Farmer City Raceway (Farmer City, Illinois) for the 12th annual Illini 100 presented by Douglas Dodge. With 36 Super Late Models on hand for the two-day event, Chase Junghans followed up the third fastest time in his qualifying group with a 3rd place finish in his heat. 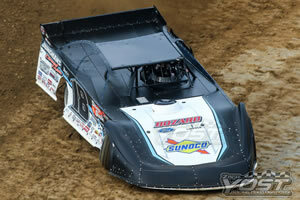 Earning the 9th-starting position for the $6,000-to-win A-Main, Junghans passed two cars in the 25-lapper to place 7th. Chase is currently tied for third in the latest World of Outlaw point standings. 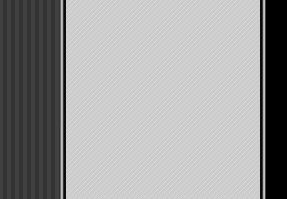 For more results from these events, please visit www.WoOLMS.com. The following night at Smoky Mountain Speedway (Maryville, Tennessee), Chase edged his way into the $10,000-to-win finale with a 3rd place finish in his heat. Rolling off 12th, Junghans held his spot for all 60-laps to place 12th. 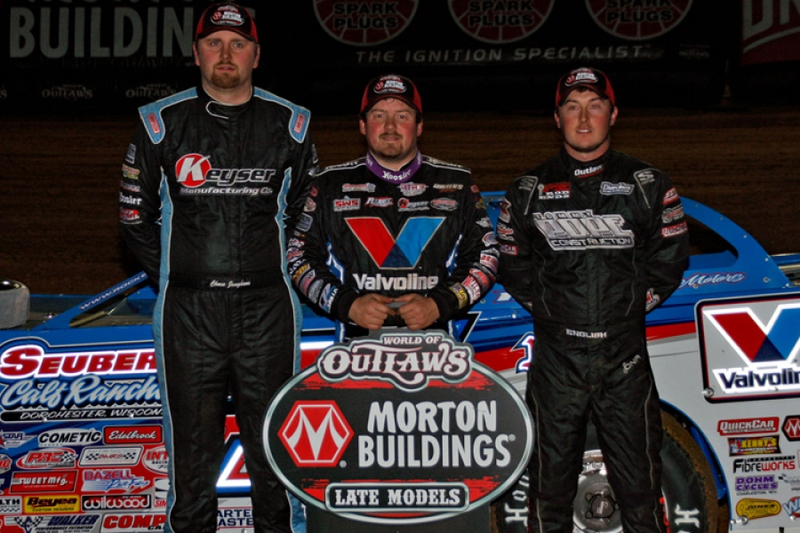 Chase is tied for second in the latest World of Outlaw point standings. For more results from these events, please visit www.WoOLMS.com. 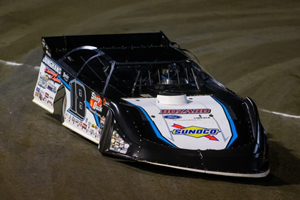 On Monday night Chase Junghans was one of 42 Super Late Models signed in at Volusia Speedway Park (Barberville, Florida) for the 48th annual DIRTcar Nationals. Timing in second fastest in his group behind Cade Dillard, Junghans went on to capture a 10-lap heat race victory positioning him 2nd on the starting grid for the opening night feature. Coming two spots shy of a Top-5 finish, Chase slipped up six positions to place 7th. 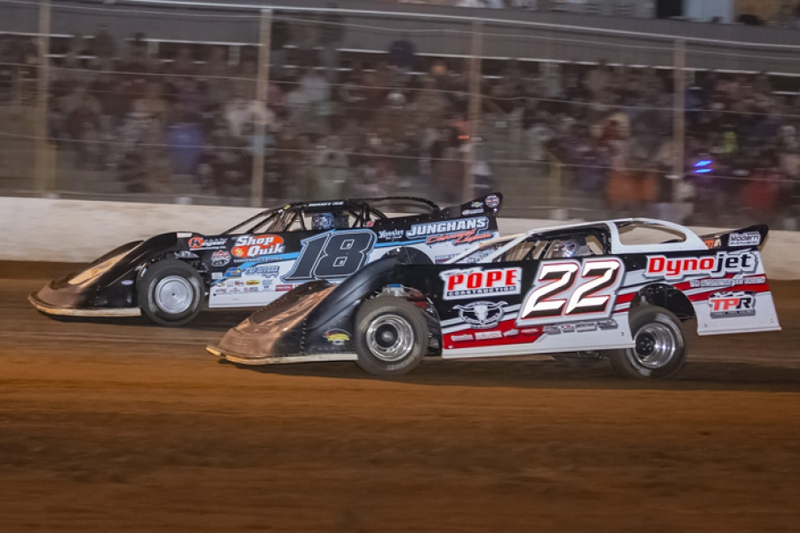 The following night in a field of 52 cars, Chase locked his spot into the main event with a 2nd place finish in his heat behind Brian Shirley. 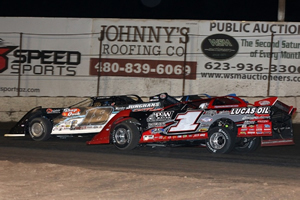 With $10,000 on the line, Junghans passed six cars in the 50-lapper reeling in a 6th place finish. For the fifth round of the 48th annual DIRTcar Nationals, Junghans posted a runner-up finish in his heat behind Brandon Sheppard earning him the 10th-starting position for the A-Main. Gaining three spots in the 50-lap affair, Chase registered a 7th place finish. 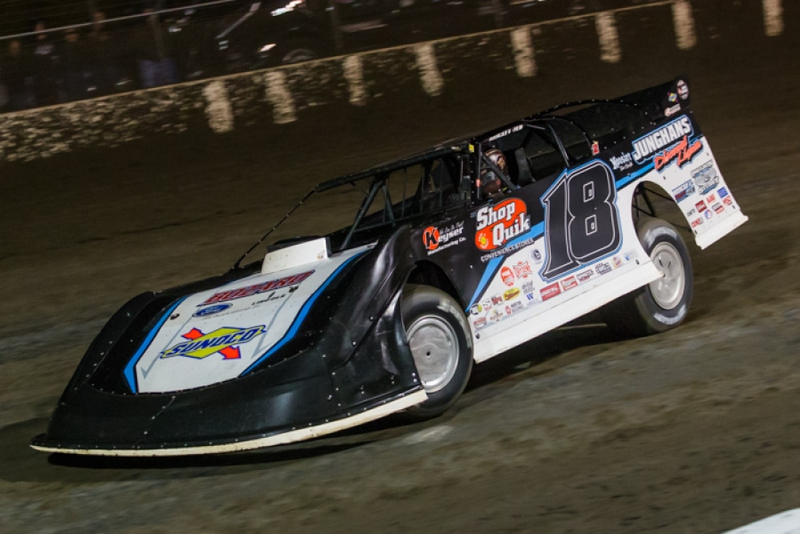 Bringing Speedweeks to a close on Sunday, Chase edged his way into the $10,000-to-win finale with the 4th and final transfer spot in his heat. Improving four spots in the 50-lap feature, Chase Junghans registered an 11th place outing. With speedweeks completed, Chase is currently tied for third in the latest World of Outlaw point standings. 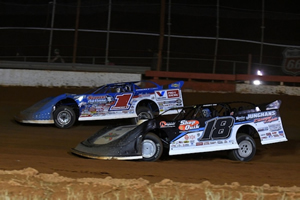 For more results from these events, please visit www.DIRTcar.com and www.WoOLMS.com. Returning on Tuesday night for the $5,000 top prize, Chase posted a 4th place finish in his heat sending him into the B-Main. Failing to place in the Top 2, Junghans was granted a provisional into the A-Main. Passing two cars in the 30-lap affair, Chase Junghans recorded a 23rd place outing. 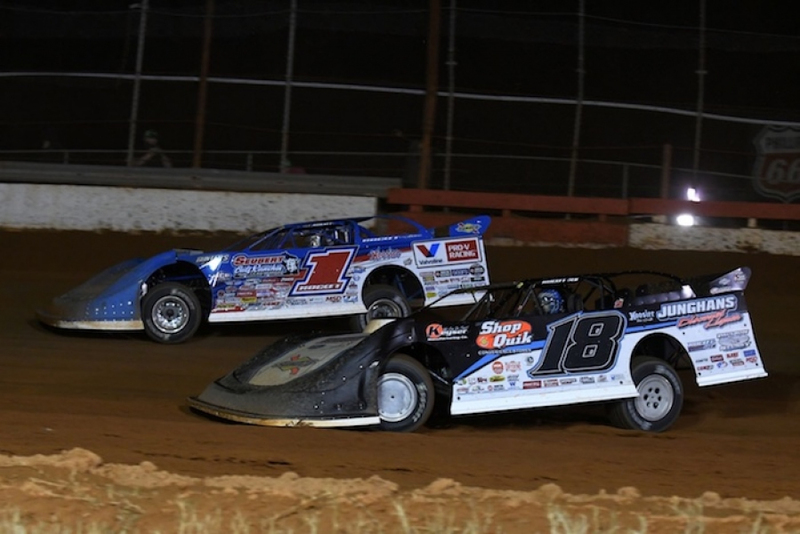 On Friday night, Junghans headed to Screven Motor Speedway (Sylvania, Georgia) for the World of Outlaws Morton Buildings Late Model Series season opener. Drawing 39 cars for the two-day Winter Freeze IX, Chase followed up the third fastest time in his qualifying group with a 10-lap heat race victory. Starting on the pole for the $10,000-to-win A-Main, Chase Junghans dropped four positions to place 5th behind Brandon Overton, Chris Madden, Brian Shirley, and Darrell Lanigan. Sunday’s LOLMDS Speedweeks finale at Bubba Raceway Park (Ocala, Florida) was wiped out by Mother Nature. With the first two events in the books, Chase is currently second in the World of Outlaw point standings. 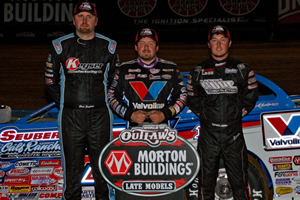 For more results from these events, please visit www.LucasDirt.com and www.WoOLMS.com. 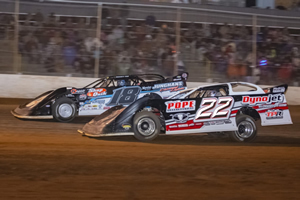 Friday night found Chase Junghans in action at Golden Isles Speedway (Brunswick, Georgia) for the Lucas Oil Late Model Dirt Series (LOLMDS) season opener. 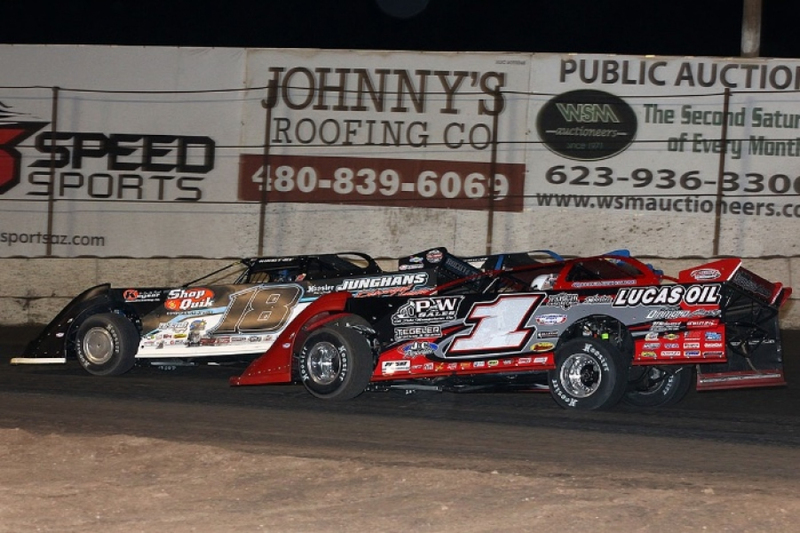 With 42 cars signed in for the two-day Super Bowl of Racing, Junghans followed up the eighth fastest time in his qualifying group with the 4th and final transfer spot in his heat race. With evening showers postponing Friday’s A-Main to Saturday, Chase improved eight spots in the 50-lapper to place 9th. The following night, Junghans passed one car in his heat to place 3rd. Starting the $5,000-to-win A-Main in 10th, Chase was running in 6th when he slowed to bring out a caution on lap 10. He was credited with a 15th place outing. Returning on Saturday for the doubleheader, Junghans registered the fastest time in his qualifying group before placing 2nd in his heat behind Kyle Beard. Earning the 6th-starting position for the A-Main, Chase passed two cars in the 30-lapper reeling in a 4th place finish behind Ricky Weiss, Brandon Sheppard, and Chris Simpson with Bobby Pierce coming in 5th. Later Saturday night, Chase dropped one spot in his heat race logging a 3rd place finish. Coming one spot shy of a Top-5 finish in the feature, Junghans improved three cars to place 6th. 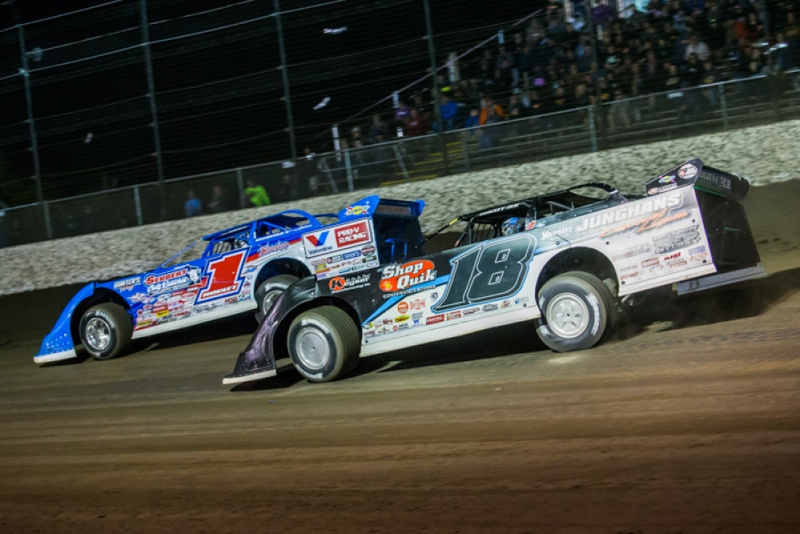 Bringing the 13th annual Wild West Shootout to a close on Sunday, Chase laid down the fastest time in his group before charging to a 10-lap heat race victory. Starting the $14,000-to-win finale in 4th, Chase Junghans held his spot for all 50-laps notching a 4th place finish behind Ricky Weiss, Brandon Overton, and Brandon Sheppard with Jimmy Mars coming in 5th. 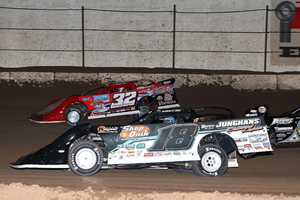 Bringing the 2019 season to life, Chase Junghans invaded FK Rod Ends Arizona Speedway (Queen Creek, Arizona) on Saturday night for the 13th annual Keyser Manufacturing Wild West Shootout. In a stout field of 45 Super Late Models, Junghans came in second fastest in his qualifying group behind Tony Toste before picking up a 10-lap heat race victory. Earning the 2nd-starting position for the opening night feature, Chase got caught in a tangle on lap 25 while battling for a podium finish that dropped him back to a 21st place outing. Traveling to a total of 80 events during the 2018 season, Chase Junghans registered one win aboard his Shop Quik Convenience Stores #18 Bozard Ford Lincoln/XR1 Rocket Chassis/ Clements Racing Engine Super Late Model for the World of Outlaws Craftsman Late Model Series sanctioned event at Eriez Speedway (Erie, Pennsylvania) on August 19th. With the weather determining the outcome of nine of his scheduled dates, Junghans collected 30 Top-10 outings and nine Top-5 finishes. 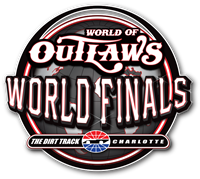 Chase Junghans was one of 76 World of Outlaws Craftsman Late Model Series entries signed in at the Dirt Track at Charlotte (Concord, North Carolina) on Thursday night for the World of Outlaws World Finals. With time trials the only event on tap on Thursday, Junghans registered the 16th fastest time in his qualifying group. Later Saturday night, Chase timed in ninth fastest in his qualifying group before picking up a 10-lap heat race victory. Earning the 5th-starting position for the $12,000-to-win finale, Chase Junghans jumped up one spot notching a 4th place finish behind Scott Bloomquist, Jonathan Davenport, and Brandon Sheppard with Tim McCreadie coming in 5th. Chase finished in sixth in the final World of Outlaws point standings. For more results from these events, please visit www.WoOLMS.com. 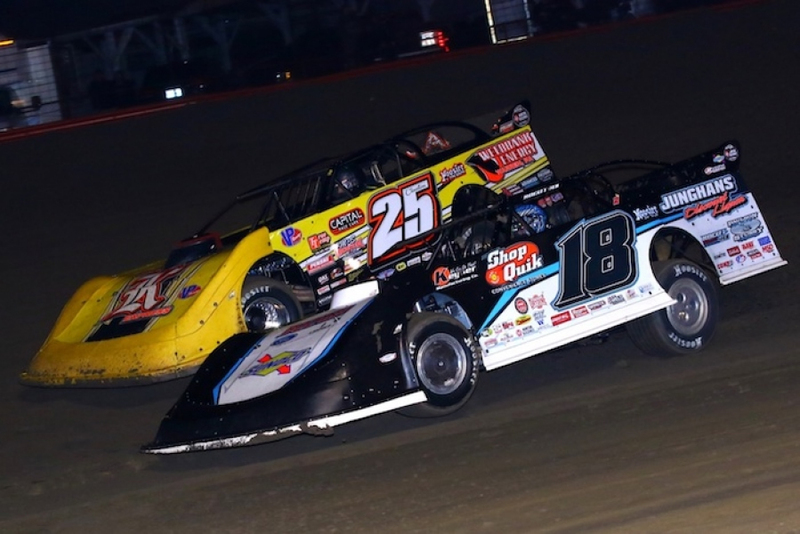 Chase Junghans’ Dirt Track World Championship weekend might’ve gotten off to a slow start, but the Kansas racer gained speed and ground by the time that it was over. In fact, he advanced 18 positions in the $100,000 finale to record a 10th-place finish in his Shop Quik Convenience Stores #18 Bozard Ford Lincoln/XR1 Rocket Chassis/ Clements Racing Engine Super Late Model. 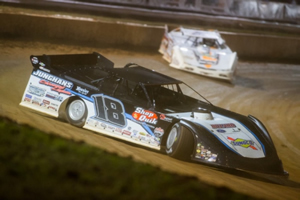 Friday night found Chase Junghans in action at Portsmouth Raceway Park (Portsmouth, Ohio) for the preliminary night for the 38th annual Rhino Ag Dirt Track World Championship. Drawing 49 Lucas Oil Late Model Dirt Series (LOLMDS) entries for the two-day event, Junghans followed up a fourth-place finish in his first heat race with a seventh-place finish in his second heat. After failing to accumulate enough points to lock into the feature, Chase was relegated to a Saturday night B-Main. Unfortunately, he came up one spot short of a transferring to the feature with a fourth-place finish. While he didn’t earn a starting position in the finale, he did earn a spot in the Jim Dunn Memorial non-qualifiers feature, where he streaked to 30-lap victory, giving him the choice to tag the tail of the feature or claim the $3,000 payday. Junghans elected to forfeit the $3,000 winner’s check to start on the tail of the feature. However, Chase would have to wait a day to compete in the finale as Mother Nature pushed the 100 lapper back to Sunday afternoon. In the finale he enjoyed a great run as he advanced from the 28th-starting position to a 10th-place finish. Later Saturday night, Chase recorded a 6th place finish in his heat sending him into the B-Main for one final shot at the main event. Transferring the Top 5 into the $51,000-to-win finale, Junghans grabbed the 5th and final transfer spot positioning him 29th on the starting grid for the feature. Coming one spot shy of a Top-10 finish, Chase Junghans improved 18 spots in the 100-lap affair to place 11th.